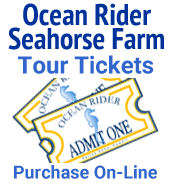 Ocean Rider, Inc. provides detailed instructions on the proper caring of your seahorses and other aquarium life. We call these “Care Sheets”. Please follow all instructions for best health and longevity of your aquarium life. Although we pride ourselves on knowledge of seahorse and aquarium life, changes may be made to the care sheets without notice. Feed EZY on Frozen Mysis – Newcomers. This is for you. Understand how to feed your seahorses with the frozen food that has the nutritional supplements you will need.